Many years ago I was leaning out of my little house as usual telling stories to a lovely group of children and adults. Somewhere in the crowd was a little girl called Tilly Lunken. She and her mother really enjoyed my stories and have always remembered and treasured that special time they had with me. How do I know this? Because she said so herself just the other day! Tilly now is a writer! She loves telling stories too. Here is a photo of her getting ready to tell a story with puppets. 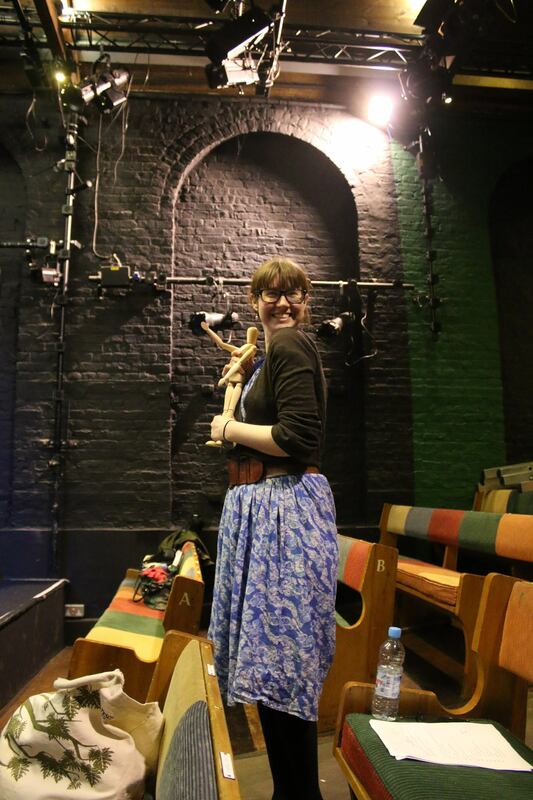 Tilly is working on a new show and had a showing as part of the HATCH festival at Little Angel Theatre in London. I’m so happy to see you doing the same thing that I enjoy doing so much. Keep up the great work and never stop having fun.